What a hectic couple of days. Everything went to the extremes. 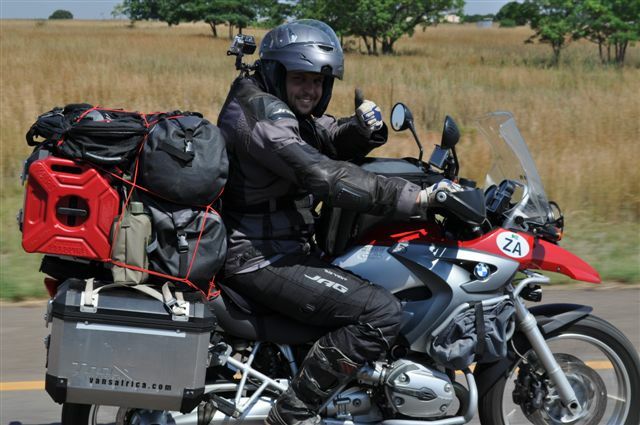 My emotions, the lean angle of the bike and how full the Zambezi river can possibly get. Map of my route so far. Day one started off with only 3 hours of sleep and a mild hangover from my going away party the previous night. 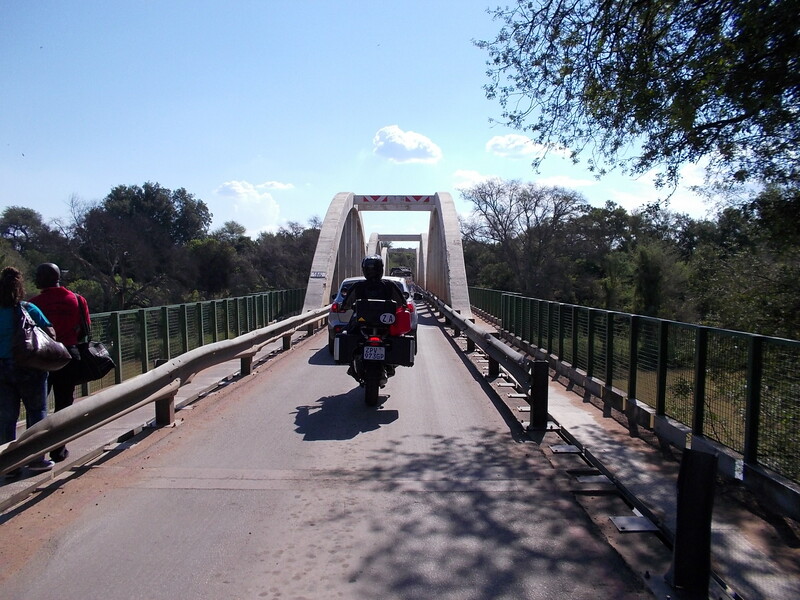 We headed north to the Botswana border. The bike was loaded like a caravan hence all the waves from all the camper poeple passing me. I felt quite honoured because I had a small convoy following me from JHB to the border. 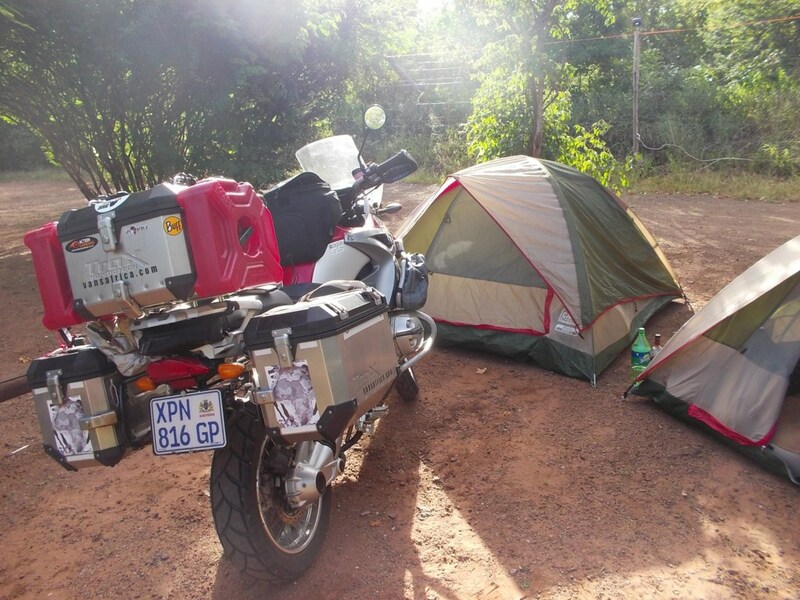 We stayed at an old favourite Camp Itumela in Palapye. Day 2 started with quite a few mishaps. I dropped the bike at the petrol station while filling up with fuel and lost the rasta earphones giving to me by my mate before I left Joburg, not too bad I guess. I got too feel what its like too pick up the bike/caravan. There was also quite a few tears and goodbyes( I also had a bit of an open tap while saying goodbye to Deidre). We headed north destination Kasane. 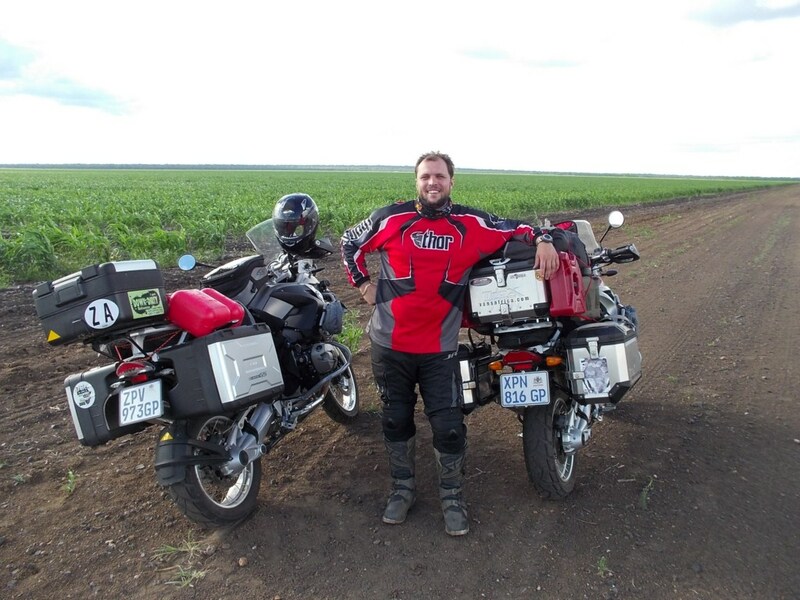 Riding in Southern Botswana is quite boring, there is so much cattle on the road and not really much to see but once you hit Nata the fun starts. 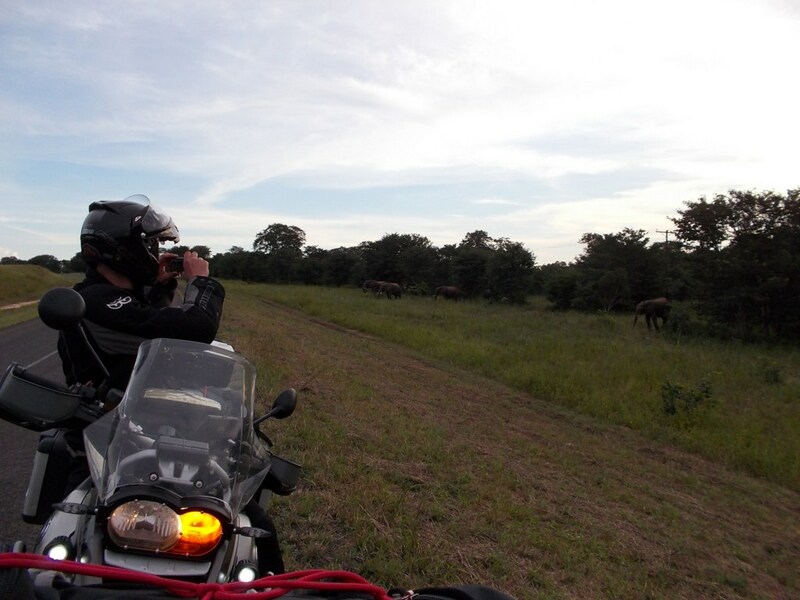 The road has been rebuilt and the African Bushveld really starts to come alive. Nata is home of the Makgadigadi Pans, one of the largest salt pans in the world. 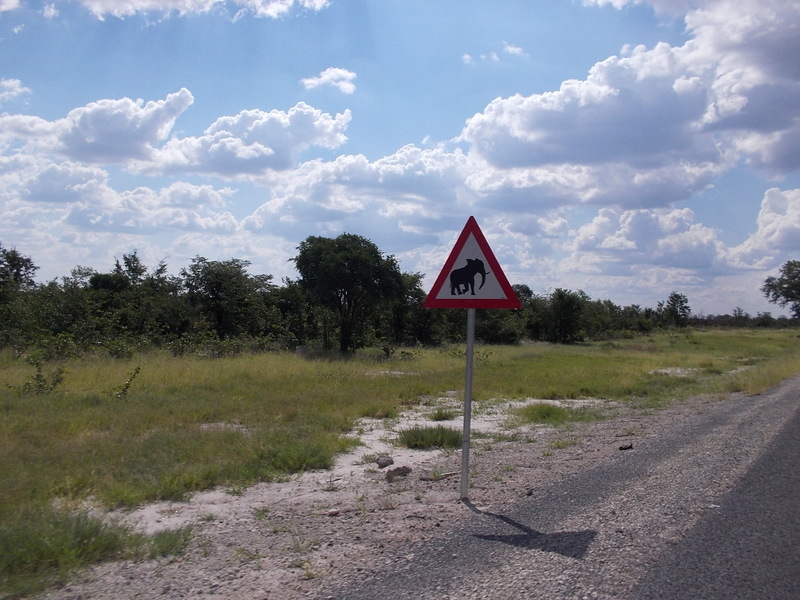 Heading north you start seeing elephant dung in the road, broken trees and then just around the corner you run into the old favourite The African Elephant. Kasane is an amazing place and one of my favourite destinations in southern africa. I have ridden here before with a few friends and on one occasion with Deidre. 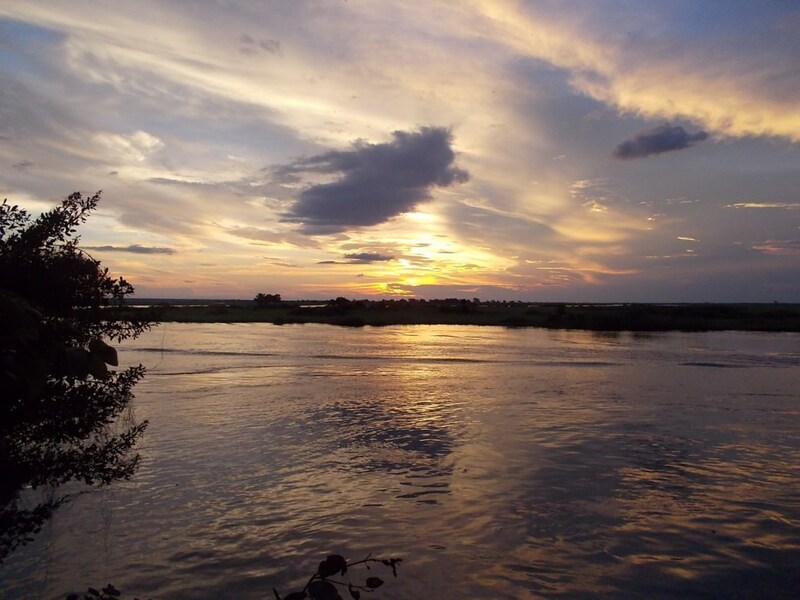 Its a small town in northern Botswana were Zimbabwe, Namibia and Zambia come together next to the Chobe River. 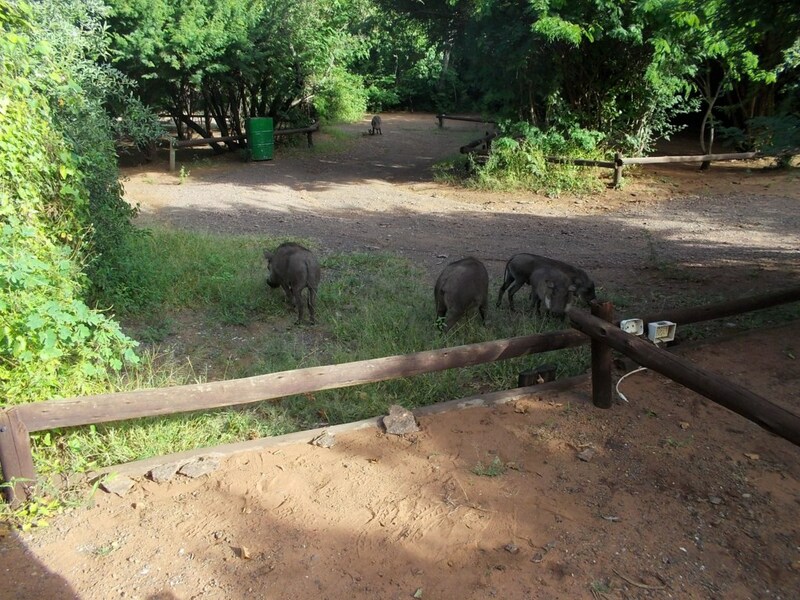 We stayed in the Chobe Safari Lodges campsite. 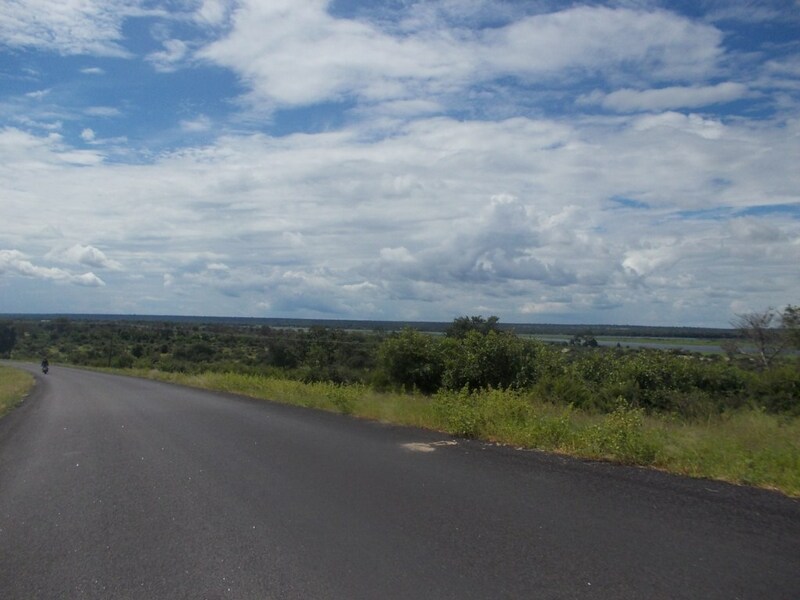 Kasane has everything you need, small restaurants and various shops and amazing sunsets! Our campsite… First camp on my trip. During the night hippo’s were playing in the river not 50m from our campsite. What a way to fall asleep. The next morning we also had some visitors. 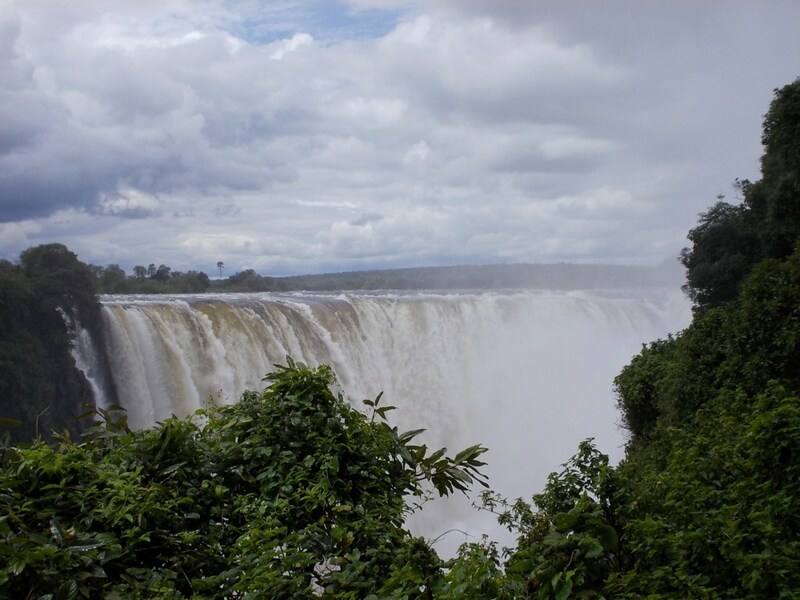 Today we headed off to the majestic Victoria Falls in Zimbabwe. Not my first visit but still an amazing sight to see. 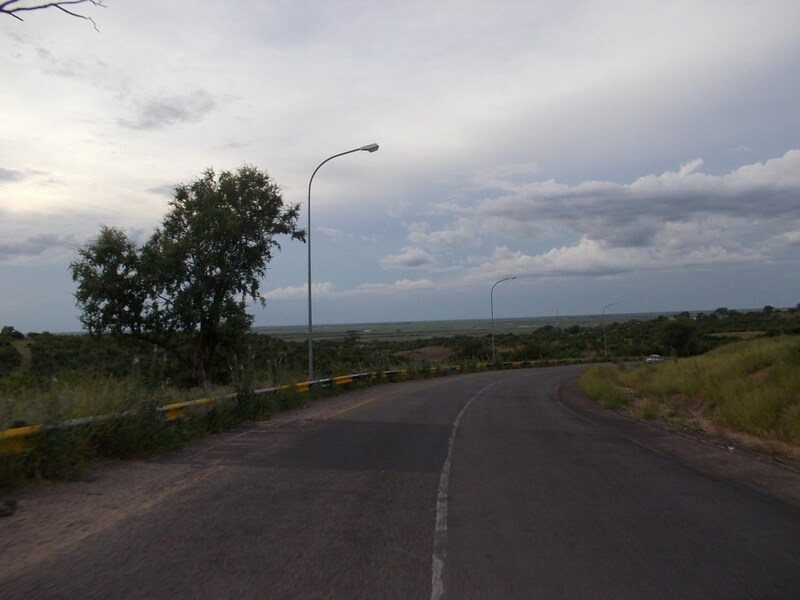 The road from Kasane to the town of Victoria Falls is a wonderfull blend of African bushveld and long winding roads. 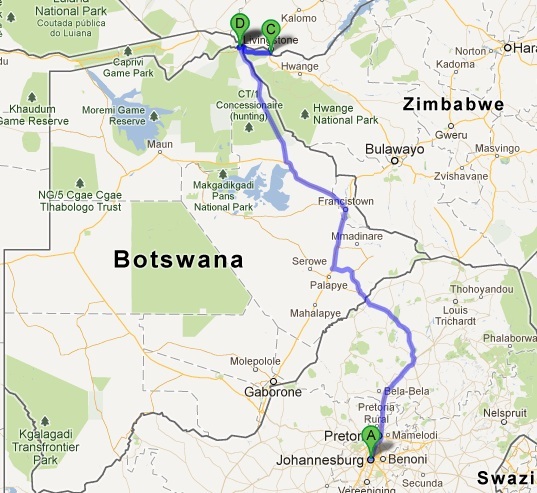 Tommorow we are off to the Caprivi in Northern Namibia. Sorry for the short post, we have some boerewors to braai and a bottle of rum to tackle. I will be uploading all the video’s of Botswana and Zimbabwe as soon as I am done editing. I will also compile a photo gallery for the 2 countries asap! Have a good one, keep us in your prayers and see you in Namibia! well done. love the post the update photos ALL!!! Hey Riaan, Baie geluk met die eerste 3 dae, wat die aontuur nou lekker maak is dat jy net alhoe verder en verder van die huis af wegry en jy verken nou nuwe terrein! Eks baie bly jyt ‘n goeie wegspring gehad, dis een van daai gedagtes wat jou altys sal bybly! Baie sterkte, God seen! how exciting. you are very brave. we will be following you. i spent several months on impelele island where the countries meet. very beautiful. good tiger fishing in chobe and zambezi rivers.all the best.